The Serbian representative is no stranger to the Eurovision Song Contest. 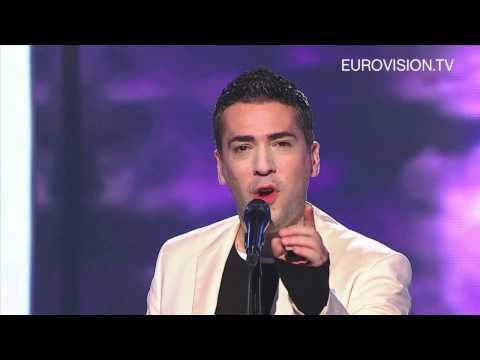 Željko Joksimović has already been singing “Lane Moje” in 2004 and came 2nd, composing songs for Eurovision e.g. “Oro” for Jelena Tomašević (6th) and “Lejla” for Hari Mata Hari (3rd for Bosnia & Herzegovina). Furthermore he also hosted the 2008 ESC in Belgrade. The very sympathetic singer is a kind of superstar in the Balkan region and sold many albums. With his announcement that he will be singing for Serbia, it’s almost sure that he belongs to the big favourites in Baku. With his Eurovision experience and very good hand for suitable and ambitious songs he will be one of the strongest contenders. The song “Nije ljubav stvar” means “It’s not a matter of Love” and has a wonderful and quite long and dreamy piano intro and a great climax. This is another proof for outstanding songs in the Eurovision Song Contest. Congratulations Serbia! For the 6th time Serbia takes part in the Eurovision Song Contest as an independent country since 2007. The two years before it has been Serbia & Montenegro. Montenegro also takes part as an independent country. And of course the former Yugoslavia took part 27 times since 1961 with one victory “Rock me” by Riva in 1989. In the first year Serbia took part independently it also won the ESC with the overwhelming ballad “Molitva” by Marija Šerifović in 2007. The year after Serbia proudly produced the contest in the capital of Belgrade. It was a terrific show with a beautiful stage. The whole Balkan area was proud that the ESC was held in Belgrade and it has shown its best side. The Serbian entries were always quite strong songs and the majority qualified for the final, beside of one time in 2009. The most outstanding songs were: “Oro” by Jelena Tomašević feat. Bora Dugic in 2008 (6th), “Ovo Je Balkan” by Milan Stanković in 2010 (13th) and “Caroban” by Nina in 2011 (14th).